Let MasterRents light the way to a brighter job site in Massachusetts with a portable light tower rental. Light towers provide cost-effective floodlighting for nighttime maintenance, construction, and emergency work. 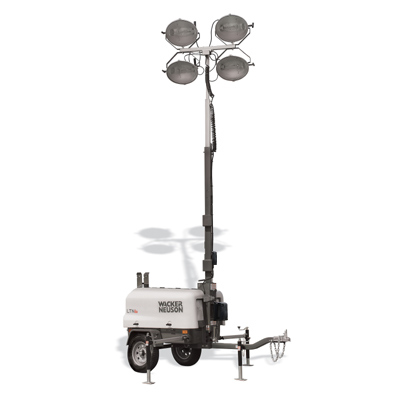 MasterRents has light towers that offer value and mobility featuring 4 – 1000 watt light assemblies. These towers are completely flexible with a 360-degree rotation and sturdy outrigger stability. If you are working on construction sites, bridges, road construction or an emergency utility repair, MasterRents is the light tower rental shop you want to choose. MasterRents has the right unit to meet your challenging job requirements. Light towers are ideal for various lighting purposes, including outdoor lighting for construction and commercial projects as well as recreation activities. If you are in need of a light tower contact us for more information. MasterRents is here to help you with any questions you may have about light tower rental in Massachusetts or any of our other pieces of rental equipment. We have a full time salesman as well as a knowledgeable staff to assist you in any way they can. MasterRents offers short term rentals at reasonable prices; please contact us at 978-762-RENT (7368) for more information. We look forward to serving all of your rental needs.